LONDON -- UK car production increased to a 17-year high in the first three months, as rising overseas demand offset weaker appetite from domestic car buyers, the Society of Motor Manufacturers and Traders said in a statement on Thursday. Car production has been one of the strongest areas of UK manufacturing in recent years, bolstered by heavy foreign investment and a recovery in global markets, but the industry fears a hit when Britain leaves the European Union. 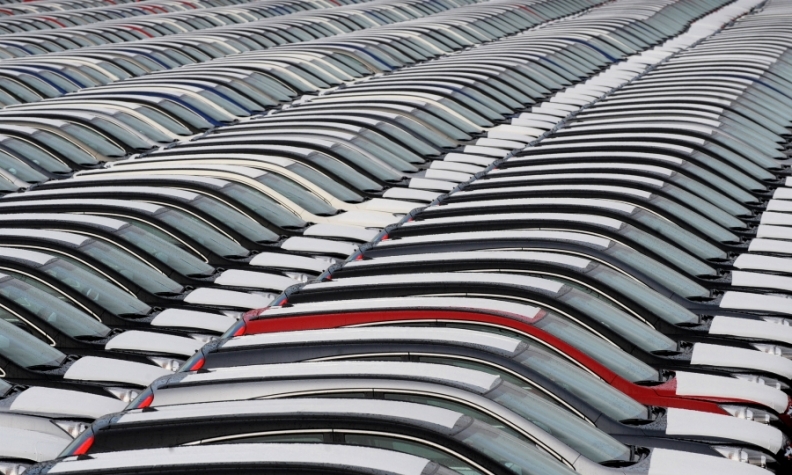 More than three quarters of cars produced in the UK are exported, and overseas demand grew 12 percent to 367,670 in the first three months of 2017 versus a 4.3 percent fall in domestic demand to 104,025, the SMMT industry association said. In March alone carmakers in the market produced 170,691 vehicles, 7.3 percent more than a year earlier and the highest number for any month since March 2000. This took first quarter output to its highest since 2000 as well, with a jump of 7.6 percent to 471,695. Sterling has fallen sharply since June 2016's vote to leave the EU, giving UK exporters a temporary cost advantage - though in the automotive sector much of that is mitigated by heavy use of imported components. "UK car manufacturing is accelerating thanks to billions of pounds of investment committed over the past few years," SMMT CEO Mike Hawes said. The SMMT expects UK annual car production to beat its all-time peak of more than 2 million in 2020, if Britain retains easy access to European markets after Brexit. "Much of our output goes to Europe and it's vital we maintain free trade between the UK and EU or we risk destroying this success story," Hawes said. He added that he was also concerned about possible measures to penalize diesel cars, which made up almost half of production. "For both sides, leaving the negotiating table without a deal shouldn't be 'Plan B' but 'Plan Z'. Whether it's tariffs or regulation, a no deal scenario would have chilling effects on both sides of the Channel," CBI director-general Carolyn Fairbairn said. Prime Minister Theresa May, who is seeking a strengthened negotiating mandate in a national election on June 8, has not ruled out walking away from an inadequate deal with the EU.